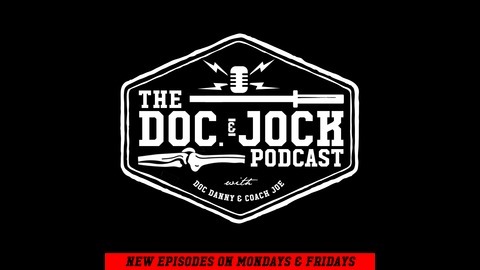 Doc and Jock brings together the expertise of a Physical Therapist and a Strength and Conditioning Coach. The goal is to provide a one stop resource to answer your training questions. 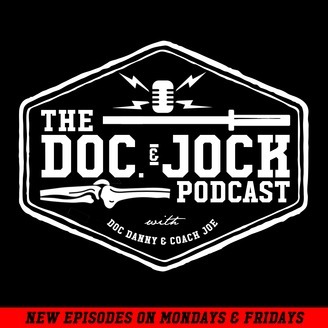 Whether you’re rehabbing an injury, working your weaknesses, or wanting to look good naked Dr. Danny or Coach Joe can help. Dr. Danny is a Mobility Wod Instructor, founder and practicing physical therapist at Athletes’ Potential. CrossFit athletes, executives, and weekend warriors search out Dr. Danny’s expertise to relieve pain, improvement movement, and to continue playing the games and sports they love. Coach Joe is the founder of Joe’s Barbell, works with CrossFit Weightlifting, has multiple experiences in a variety of coaching platforms, is a former CrossFit Games athlete, and current national level Weightlifter. Athletes of all shape, size, and ability are welcome to #LIFTatJOES. Together, Dr. Danny and Coach Joe develop, pull and share updated Strength and Conditioning information sure to simplify your training quandary. Listen, read, and follow because if you have a BODY, you’re an ATHLETE.